This week we’re looking at mobile browsers. Sure, many iPhone users stick with Safari, the built-in browser that comes on every iDevice, but still, some prefer a 3rd party browser. When it comes to alternatives, there’s a clear winner. 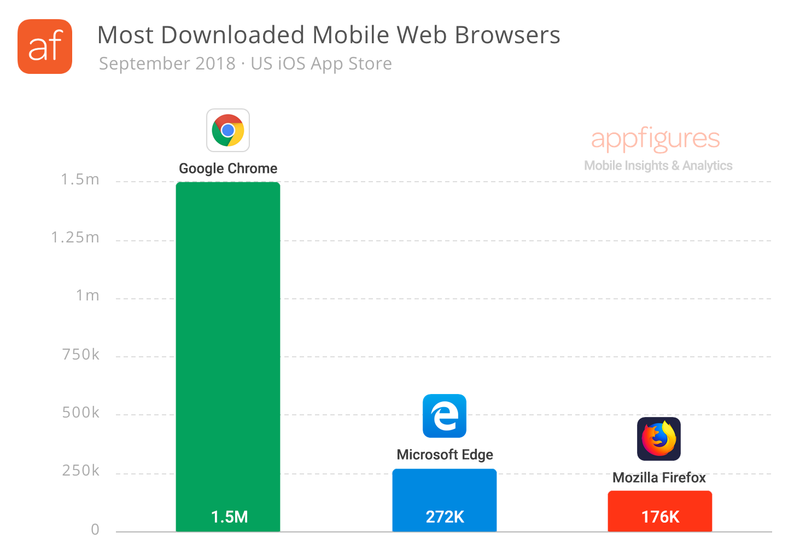 With 1.5 million estimated downloads in September and over 13 million estimated downloads so far in 2018, Google Chrome was the most downloaded mobile web browser in the US. And by far! Microsoft’s Edge was a distant second with 272K downloads and Firefox with just 176K downloads, roughly 11% of Chrome’s. Chrome having the lion’s share of the market isn’t surprising, but Microsoft–the same company that gave us Internet Explorer 6–outperforming Firefox is. Looking at all of 2018, this trend isn’t new. 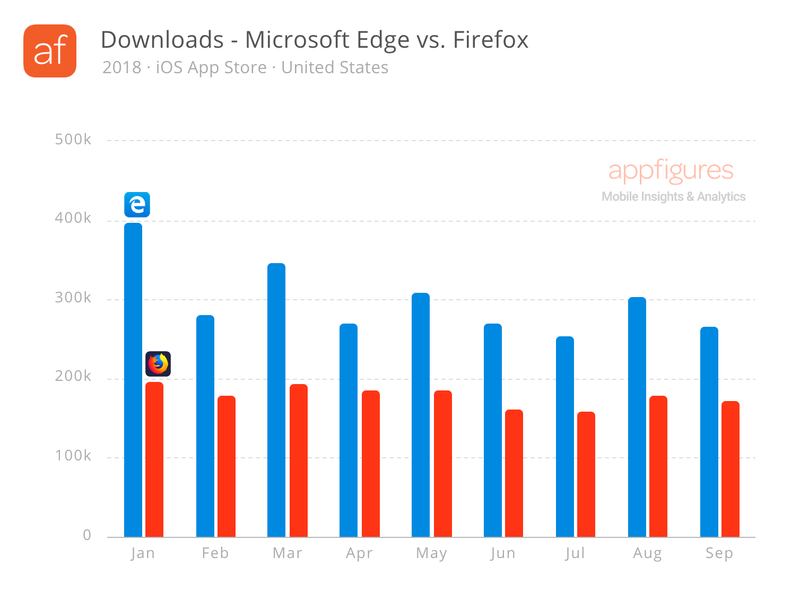 Microsoft Edge has been downloaded more times that Firefox every month this year. Microsoft might be on to something here. What’s your favorite mobile web browser? Tell us in the comments below.